Founded on March 2009, Catallaxy Institute is a small international association whose long-term aim is to contribute to develop and divulgate the principles and values of the tradition of classical liberalism and of libertarianism. Giovanni Birindelli (president). Giovanni is an independent investor and an author with a specific interest in economics and political philosophy (or, more precisely, the science of liberty). A selection of his articles can be found at this link. Since 2017, upon invitation of Prof. Alessandro Vitale, he collaborates as guest lecturer with the University of Milan (Law Department, course of Economic Geography). He participated as speaker in various conferences and lectures, e.g. at the SRH Hochschule Berlin (2015) and at the Scuola di Liberalismo Fondazione Einaudi of Bologna (2014). 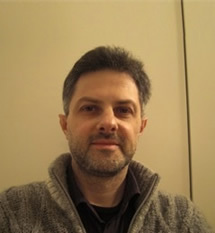 He wrote the books La sovranità della Legge (Leonardo Facco Editore, 2014) and Legge e mercato (Leonardo Facco Editore, 2017). Giovanni wrote the preface to the first Italian edition of The Mystery of Banking by Murray Rothbard (USEMLAB, 2013), to Leonardo Facco’s Elogio del contante (Miglioverde Edizioni, 2015) and to the chapter titled “Legge e giustizia” of Parole in libertà (Il Dito nell’Occhio, 2015). He graduated in Economics from La Sapienza University (Rome) and holds a Master’s degree (MS) in Philosophy of the Social Sciences from The London School of Economics and Political Science (London). He worked as analyst for Commerzbank Securities (London); as senior consultant for the strategic consulting firm Lynkeus (Rome); and as director of the consulting firm Catallaxy Ltd. (London). He manages a small family farm in Tuscany where he lives. Novello Papafava dei Carraresi. Born in Lausanne (CH) in 1973, Novello graduated in Economics and manages a family farm in Colli Euganei. He is interested in political philosophy and agriculture. He wrote the book Proprietari di sé e della natura (Liberilibri) and various articles from a libertarian perspective. Guglielmo Piombini. Born in 1968. Guglielmo graduated in Law at Bologna University. He collaborated with articles and papers with newspapers and journals including Il Foglio, Libero, Fondazione Liberal. He now collaborates with the online newspaper Miglioverde. He published the following books: Privatizziamo il chiaro di luna! 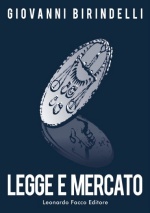 Le ragioni dell’ecologia di mercato (together with Carlo Lottieri, Leonardo Facco Editore, 1996), La teoria liberale della lotta di classe (Il Fenicottero, 1999), Anarchici senza bombe. 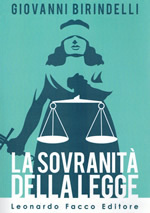 Il nuovo pensiero libertario (together with Alberto Mingardi, StampAlternativa, 2000), La proprietà è sacra (Il Fenicottero, 2001), Il libro grigio del sindacato. Origini ed anatomia dell’oppressione corporativa (together with Giorgio Bianco and Carlo Stagnaro, Il Fenicottero, 2002), Prima dello Stato. Il medioevo della libertà (Leonardo Facco Editore, 2004). He owns Libreria del Ponte in Bologna (www.libreriadelponte.com), a bookshop that is specialized in in classical liberal and libertarian texts. Francesco Simoncelli. Francesco was Born in Arpino (FR) on May the 16th 1985. Being a fervent student of the Austrian School of economics he opened the blog “Francesco Simoncelli’s Freedonia” in 2010 with the aim to advance his research on economic and political issues from an Austrian and libertarian perspective. 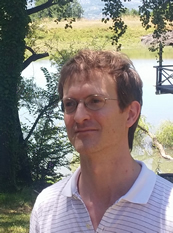 His research activity led him to write articles for websites having a significant impact in the economic information area: Yahoo Finanza, Miglio Verde, Rischio Calcolato, Movimento Libertario, Trend Online. 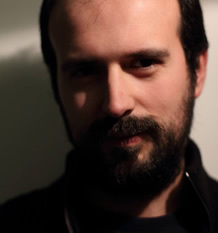 In 2015 he wrote the book L’Economia è un gioco da ragazzi. In 2012 he participates in the foundation of the von Mises Italy association of which he is member of the board. In 2013 he started collaborating with the magazine “The Fielder” where he writes articles about finance and economics as well as academic papers. He occasionally collaborates also with the blog Il “Portico Dipinto”.